"I am no hero, but I see the villain you are." John is a very tall person, in quite good physical condition from appearance alone. His usual clothing isn't exactly something that would stand out, apart maybe from his slightly longer mantle. 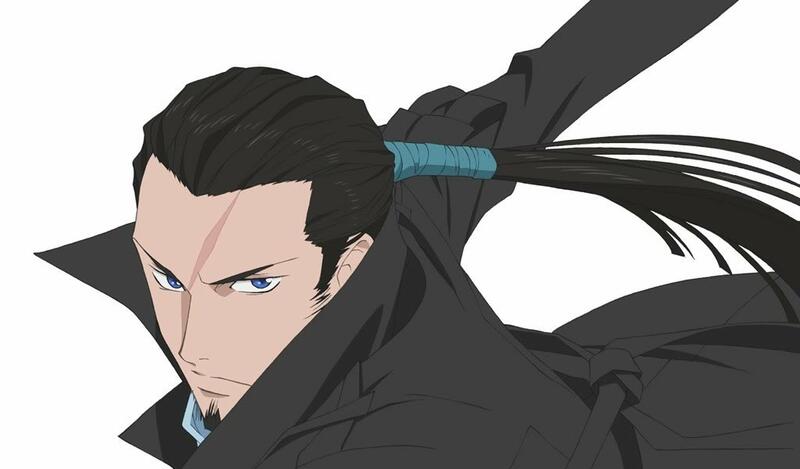 His long, black hair and blue eyes are the most recognizable feature about him, followed by his goatee and slightly sharp face. He can change from a stern, serious look to an amused smirk within seconds. "Hey there, need a hand?" Personality: Johnathan Walker is a slightly odd fellow who 'acts old, yet young' most of the time. He likes cracking jokes and making references to older things that younger people sometimes don't get, but is always a good sport about it. Just in general, he's a nice guy - if you run into him on the street, he'd apologize to you, that sort of behavior. His friendly smile and nice mannerisms make him very approachable, even to students during his newfound job as a teacher. He loves teaching in general - be it teaching a young Fallen or Quincy how to fight, or to give someone advice about life in general. For those who have lost their way, he'll often extend a helping hand to lead them back on track, with whatever troubles they face. John always enjoys a good drink, and has fine taste for good beer and stronger alcohol, but not a good nose for wine. He's always rather chatty about the subject when it comes up, and loves giving recommendations, especially when working in his bar. For food, though, his taste is a lot broader - he prefers western food, but that's about it. Of course, he tries not to be insensitive about it when he can, but he just doesn't have the taste for gourmet food. And despite his love for drinking, he advocates people to be careful about it. He definitely won't give alcohol to those below drinking age, and would never allow someone to drink and drive. Following from the above, John is a bit of what you could call a 'boyscout'. People should be excellent to each other, and villains need punishing, so he is there to do so. However, John refuses to be called a hero, mostly because of lingering feelings towards the one person who calls him a hero mockingly. The word simply has a sour taste for him due to his feelings, at least when it is applied to himself. However, he always wants to find the 'next big hero' and help him or her grow into a real defender of justice and the world - a protegee, a student that he can put his trust into. Perhaps due to his own race, he is not exactly a fan of Hollows, even Arrancars who have given up the eating of souls, and often assumes the worst of them. When proven otherwise, it will still take him a while to warm up to them, but not for a lack of trying - it is almost instinctive to dislike them for him. He feels indifferent about Shinigami and Vizard, while he has protective feelings towards the Fallen and the Quincy, seeing both as his people and charges to protect and nurture. When it comes to combat, Walker is very confident and sure in his own ability. That's not to say he feels invincible, but he often has troubles with recognizing threats too great for him to face alone. He might just charge three enemies alone and outgunned if he feels up to it, but he's not ENTIRELY suicidal - he knows when running away is a superior tactic to staying and dying horribly, for one. His general confidence in himself allows John to disregard fear in a big way - it's not that he doesn't feel it, but that he can overcome it and overpower it with hope. In battle, he can be quite inspiring to his allies. He is devoted to being 'hope', and to showing the bright light of all that is good and right in the world, so that his allies may continue the fight. However, these antics also serve to inspire and remind himself of what he fights for, and of the true goals beyond a simple fight. His intense focus on doing the right thing leads to John often not taking spars and friendly battles not seriously and refusing to use his full ability, feeling such displays of power to be misplaced and unnecessary. He won't bug someone else for using more power, but he wants them to respect his own decision to hold back just as well. The only times he gets serious during training is whenever he is training a potential candidate for being the 'next big hero', for they will need the determination to continue fighting even in desperate times, much like John himself would never give up hope. Character Background: John is the last son and prodigy of an ancient Quincy bloodline that settled in an area which would later belong to Germany. He was born during the early 20th century in Germany, as the son of the last male Quincy of his clan before him and a normal young woman from England, though when he was only around ten years old, his family moved to London over new job opportunities in the wake of World War 1, which devastated what remained of the German economy. Obviously, the young Johnathan felt alone in a new country, learning a new language and all. Thankfully, his family earned quite a lot of money for the times, so he was privileged enough to actually learn from private teachers. His feelings of loneliness caused John to explore the city often on his own... until he met her. A young woman, perhaps only ten or so years older than the boy. But he didn't just meet this woman on the street - rather, she saved him from a grotesque monster attacking him on a graveyard. She explained to him that what he saw, was a Hollow - and that his ability to see it branded him as someone like her. A Quincy. After that day, the woman became his master. Instead of wandering the city alone, John now had a much older, but very understanding teacher and master, who took it upon herself to unleash his considerable potential. His first Spirit Weapon was formed only two weeks after he started training - his Reiatsu increasing so fast that it actually caused him some minor health issues, such as dizziness and minor headaches when focusing on it, until his mind became used to the sixth sense and growing power. However, what he did not know, was that this woman did not find him by accident or chance. She had watched over him since before his birth, being much older than her appearance would suggest - and her mind filled with something far darker than her kind demeanor would make you believe. She was the host for it - the darkest Quincy spirit of them all, the one who never truly dies. Dhaos had waited for someone like him - someone with the potential for his body to withstand his full power. A body to be reborn in fully, as the elder evil. To become a perfect host for the elder evil, there were two needed parts - the Seed of Dhaos, and the Arcle Belt, holding the Amadam - an ancient Quincy weapon which holds the power of old times. Applied in precisely that order, John could become a near-immortal body, one that would never age... But unbeknownst to Dhaos, his current host had the ability to resist, ever so slightly, and keep parts of her thoughts private. When Dhaos thought his body sleeping, she documented the Arcle and its power - how it fused with the spirit of the user, becoming impossible to remove after only seconds without killing the host. But what was more, during the next few years, she left hint after hint for John that something wasn't as it appeared. Despite his young age, he slowly figured it out - something was inside of his master, and slowly corrupting her. Finally, on his 18th birthday, his present from her was a worn binder of pages detailing the entire plan - to mature him into a killing machine and perfect host, how the Amadam and Dhaos Seed interacted, and the most important part - that he who controls the Amadam, controls his own soul. With it alone, he could resist Dhaos, keep him out of his head consciously and defeat him! So that night, he'd do just what his master had ordered him to do, and he broke into her home, slowly creeping into the basement. There, behind their joint training room, a hidden panel in the wall slid open, revealing a simple, black box. Opening it, John saw a shining belt inside of it, flanked by two crosses. As he touched a cross with each hand, they flared up with bright light for a split second, and a sharp pain shot through his hands - as the spiritual silver turned into dust which buried itself into the back of his hands, embedding themselves into his flesh perfectly. As the pain settled, John slowly picked up the belt, holding it close to his face. The gem in the middle was the Amadam, glowing in a faint, white light from within. Could it really be that powerful of a weapon? Would this allow him to perhaps even save his master? Then, the young Quincy heard a sound behind himself, lowered the belt slightly, and turned around. Next thing he knew, a hand gripped onto his throat with extreme force, lifting him off the ground and blocking his breathing. In the little bit of light in the cellar, John saw his master holding him up with an iron grip, a twisted grin on her face. Despite the dim light, he saw it for the first time - the blue eyes, the blonde hair, replacing the beautiful green and red his master originally had. "Anxious for your real present, are we? No matter. Receive me... Receive the Seed, and be eternal." With no time to think, but a burning anger in his heart, John slammed the belt against his stomach, and as if by the hand of a ghost, it clicked shut. The eyes of his former master widened, as a bright light suddenly shone from the Amadam, as the Arcle burrowed into the flesh of the young Quincy, filling his nerves with an unknown, terrible pain, incomparable to what he just felt on his hands. As he felt the grip of Dhaos weaken, John lashed out with a swipe of his own arm, driving the possessed woman backwards a bit. Still out of breath, his whole body was flooding with both pain and a tingling, indescribeable sensation, as if every single one of his nerves and muscles were moving for the very first time. "No! Take it off! TAKE IT OFF!" With a screech, his master jumped at him - but John knew that he had no way of running, not in these close quarters, and so he punched straight for her... and managed to disarm the Seele Schneider she had drawn, feeling as if time itself had begun to slow down, when in reality, his own reaction time just broke through the roof. His arm which struck his master's hand suddenly encased in white armor, it spread across his chest, legs and finally head, with the Arcle Belt and Amadam materializing around his waist again, as if by magic. The following fight was short and brutal. The body Dhaos had used was riddled with cancer and unfit for any real fight - and as she was dying, she wrestled control back from the elder evil one last time, to allow John both a finishing kick, and to give him her final mission. After that terrifying and terrible night, John woke up at home, not really sure how he got back there. However, this night had forever marked him... mentally and physically. Quickly, he found out that summoning the Arcle to the outside to use its power as his Spirit Weapon and to become Kuuga, the 'ultimate warrior'... or at least that was the name the original creators had given to it. Knowing that his real enemy was dead, together with his mentor, Johnathan obtained SOME normality within his life, processing just what had happened to him, and wondering just why he had the kind of power he now wielded. However, fate would have him find a role sooner rather than later... when Germany started World War 2. And so, Johnathan Walker became the secret super hero of World War 2 - as Masked Rider Kuuga, fighting against all Fallen and Quincy that sided with the Nazi Regime and their 'supernatural task forces', becoming somewhat of a legend. With the call sign 'Union Jack', the crown still has a direct line to John to call him in if the country is ever in mortal peril. It was during the final days of World War 2 that Johnathan finally met his true enemy, Dhaos, again, leading a team of supernatural researchers for Hitler... simply because he was bored, and to drag out John from hiding. Eventually, Walker managed to destroy the laboratory and defeat Dhaos once more in direct combat, shortly before the war ended. However, the war had left its mark on John's mind. During his secret missions behind enemy lines, he saw the horrors of concentration camps, the darkness of oppression, the hopelessness felt by those under the heel of racism. After the war, Johnathan retired from the army, and began wandering the world a bit, trying to find both the lighthearted fun again he lost before the war, as well as his faith in humanity that the war itself had damaged. His years of wandering finally ended when the Fallen became truly known, and racism against them spread rapidly. Returning to the world at large to protect his fellows who were granted powers, John worked as hard as he could against prosecution and racism against the Fallen, having a hand in the founding of a certain academy, and now working there as well while still trying to save as many Fallen and Quincy as possible from injustices. Sanrei Focus Appearance: Two silver crosses, embedded into the back of his hands, the left one being inverted and the right one being upright. They are seemingly fused into his hands, as a special treatment to them makes them bend and move just like the skin around them. They can only be removed by Johnathan himself whenever he unleashes his Vollständig. There is another piece to his Sanrei Focus - a 'belt' of sorts that is fused with his nervous system intrinsically. Normally, it is underneath his skin and virtually undetectable without taking an X-Ray of Johnathan, showing how it has integrated into his central nervous system. When unleashing his full Spirit Weapon powers, it materializes on the outside. The belt is called the Arcle, while the gem inside of it is called the Amadam. Wahre Sicht: An investigation-type Ginto. After speaking the words "Bring into light", the liquid spirit energy is dripped into the eyes of the user. For a duration of five posts, the user sees the world in a slightly hazy state, as if trapped between reality and a different world. While it lasts, the user can see through illusions and disguises, only seeing a glimmering outline of them, and seeing things for what they really are. It also allows the user to see an outline of used Kidō, Ginto and Hollow powers in an area as an aura, as long as the power was sufficiently powerful and has not been used too long ago. Öffnung: This spell taps into the rifts between the worlds and forces them open. When used, the spirit power within the Ginto rises up and expands, making a hole similar to a Garganta in mid-air, which leads to either Soul Society, Hueco Mundo or the real world, depending on the user's wishes. A portal can not be opened to the world the user is already in, so it can't serve as fast transportation within the same dimension. Living beings that step into Soul Society or Hueco Mundo are transformed into spirit particles for the duration of their stay, making them identical to Shinigami and souls in their composition, but unlike dead souls, they maintain all of their powers as Fallen or Quincy while within the spiritual realms, if they had any. If they did not have any spiritual powers, then the contact with Soul Society or Hueco Mundo has a high chance of turning them into Fallen and granting them powers after a short while once they're back in the world of the living. Öffnung can't open a portal to hell. Magnus Exorcismus: A very powerful spell used to cleanse infections by evil forces, such as Hollow poisons, possession, fits of madness, and hallucinations. After channeling energy into the Ginto, the liquid must then be poured onto the body of the recipient to take effect. Long-term possessions need to be countered shortly after they begin, or the spell will fail. Heilung: By speaking the magic words, the Ginto begins to glow. The liquid is then poured onto the wounds of someone, giving them accelerated healing and saving from normally fatal injuries. In those cases, a single use of the spell won't be enough to get someone back into fighting shape, but at least they won't die. Spirit Weapon: Johnathan's spirit weapon has a special ability that allows it to 'form change' to best adjust to a fight. It retains it's basic shape - a suit of body armor, with the color of the armor switching appropriately. The belt that is worn by all forms of the armor has a color change in the gem in the middle depending on the form, then another change into Golden for 'Rising' and 'Amazing', while it turns completely black in Vollständig. Primary Attack: Changes depending on the form, detailed below under each specific form in greater detail. All forms are at least somewhat capable at hand-to-hand combat. Protected Shell: The Sanrei Focus used by Johnathan gives his body a, for him at least, incredibly useful ability - the constant power in his blood makes it impossible for outside powers to control his body. In other words, he automatically expels any and all attempts to possess him, powers that might take temporary control of his muscles have no effect either. In addition, the protective energy makes poisons far less effective on him - it renders all mundane poisons useless, and spiritual poison powers are weakened. His strengthened nervous system through the belt makes him more resistant to electric paralyzing and similar powers. Heightened Healing: Johnathan heals faster than any normal human or Quincy, healing even broken bones within weeks at the most dire. His body can switch into a 'recovery stage' if he is hurt badly enough, during which he appears dead to the outside world, while the Amadam takes in as much spirit particles as possible to restore his body. Ultimate Weakness: This weakness is for all of his forms. If the gem inside of his belt, the Amadam, is destroyed, John will INSTANTLY die. The gem is linked to his nervous system and serves as a secondary layer of nerves, so the shock of losing it will kill his body, not to mention the rejection of it's nerves if the control center were to be lost. Obviously, destroying the Amadam isn't exactly easy - the gem is harder than titanium, and even if cracked or damaged, it will eventually heal and allow John to transform and fight again. Still, a damaged Amadam means a transformation before it is healed can kill him, not to mention cause excruciating pain. The Corruption: The artificial nerves of the Amadam spread over the entire body over time, depending on how long the user has had it. 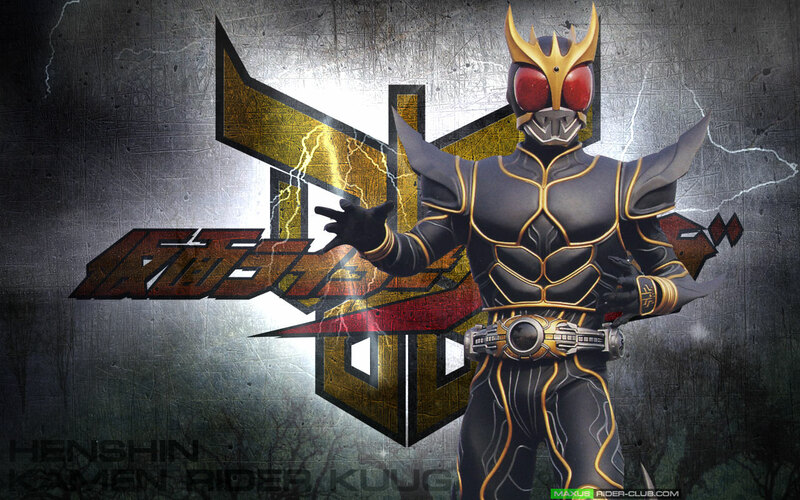 Since John has been Kuuga since around 70 years now, the nerves are spread throughout his entire nervous system, including his brain. If he initiates his Vollständig out of hatred, anger and other negative emotions, the darkness within the Amadam will overtake him and cause his eyes to lose their red shine, turning black. In that stage, he loses his immunity to the Seed of Dhaos, and becomes a mindless berserker that kills whatever it finds. Supreme Learner: Whenever John picks up a new weapon, he instantly knows how to use it. He won't master it instantly, but it'll take him far less time than normal to do so. Spirit Powers (Growing): The white Kuuga is the weakest of them all. Low physical defense and nearly non-existent offense, low speed, and no elemental control at all. The only advantage to Growing form is that Johnathan heals exceptionally fast while using it, and his body might lock itself into Growing state when he is gravely injured in an attempt to save him. Growing form is also the only form accessible to Johnathan if he lacks the fighting spirit to bring out his more advanced powers. Spirit Powers (Mighty): The red Kuuga relies on Martial Arts and a mixture of statistics to attack his opponents head on. His main attacks are punches and kicks fueled with spirit power like any arrow shot from a Quincy Bow, giving him impressive destructive power with his attacks. His armor is medium weight, not restricting his movements much, but providing some armoring to protect from attacks. Mighty Blow: Kuuga overchannels the energy within his right hand, and punches straight at the enemy to release a shockwave through them. This attack is meant to break the guard of the enemy. His fist glows slightly before the blow is delivered. 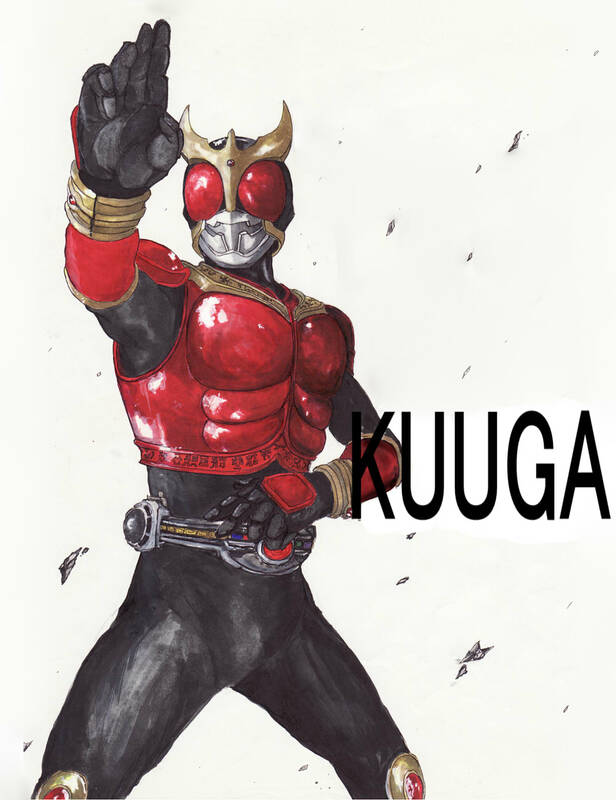 Ground Breaker: Kuuga stomps down, raising up part of the ground in front of himself to block an incoming attack or to upset the footing of his enemy. Useless in the air. Mighty Flames: John can ignite his Reishi with burning desire in this form, allowing him to coat his attacks in searing flames for a short time. He can extend his reach slightly with the flames. Mighty Kick: The ultimate attack of Mighty Form, John jumps towards his enemy before executing a flying kick at them, his energy flowing right into his right leg, delivering a MASSIVE blow to whatever it may hit. The power is enough to cause a small explosion. Rising Mighty: A special transformation within a transformation. By accessing the 'golden power' of his Arcle belt, John transforms his red armor with gold, while his Amadam shines golden. Rising Mighty can be used for up to two consecutive posts, and enhances all of John's fighting abilities a step further. His Mighty Kick becomes strong enough to level multiple buildings with it's explosion if not aimed properly. 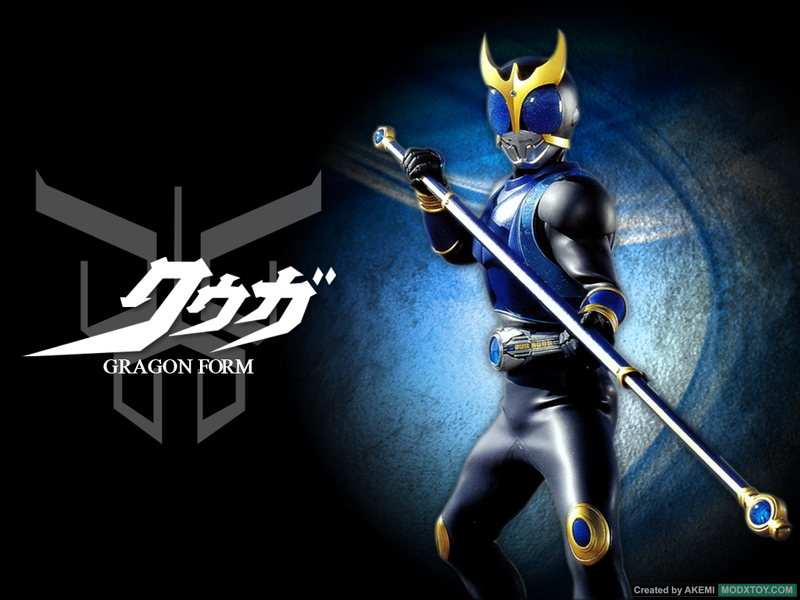 Spirit Powers (Dragon): The warrior of the polearm. To fully utilize this form, John has to retrieve a nearby long object, such as a pipe, longer stick, or broom. By channeling his energy through it, he remodels it into a new part of his spirit weapon - a battle staff, through which he fights. Dragon form is lightly armored and not as capable in unarmed combat, but has supreme agility and speed, as well as the highest jump height of all forms, allowing for the fastest Hirenkyaku in it. The pole allows to keep the enemy at distance away from the weaker armor, while wearing them down with quick, weaker strikes fueled with spirit power. Dragon Descent: A jumping attack executed from air superiority granted by the massive agility, this strike from above aims at the head of the target to disorient or even kill them. After striking, John executes a quick spinning backflip to escape retaliation. Dragon Fang Barrage: John quickly strikes with both ends of his staff in succession, holding it in the middle while doing so, to hammer his opponent with multiple blows. Aquatic Protection: John has minor control over water, snow and ice in this form, and can manipulate natural fluids with the swings of his staff, directing high pressure water into defensive and offensive moves for until the fluids are used up. Rising Dragon: Like Rising Mighty, this form allows for higher power without a direct switch to Vollständig, but for a very limited time only. For up to two posts in succession, the pole changes into a double-blade, while all physical parameters see an increase. Whirlwind Spin gets the noted improvements, the destructive power becoming great enough to devastate the area with the created vortex of air. Spirit Powers (Pegasus): Pegasus has the weakest physical statistics of any form outside of Growing. Weak armor, low physical strength and speed, but in exchange, Pegasus has EXCELLENT senses - vision so good that he can basically zoom in, hearing good enough to pick up moving cloth in wind up to a mile away, and a pinpoint sense of direction to find any opponent. 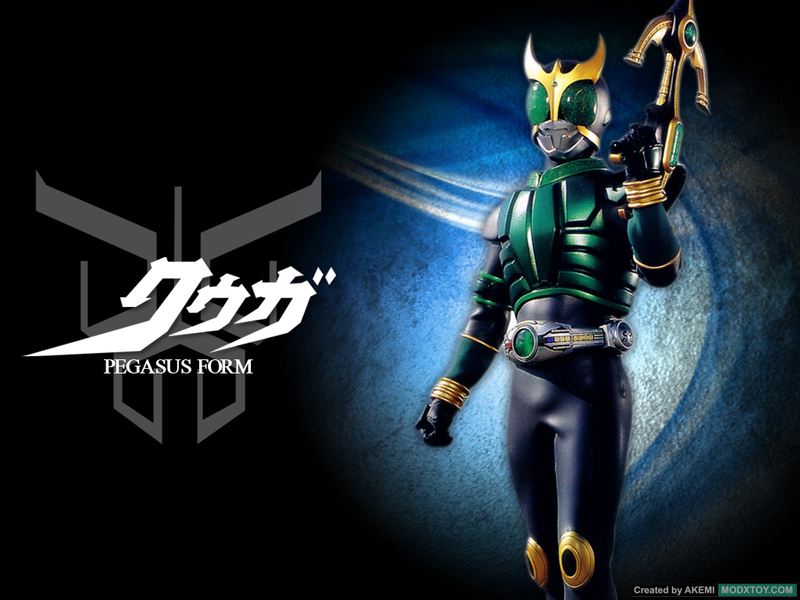 Pegasus form needs an object shaped like a gun or crossbow to transform into its own weapon, the Pegasus Bowgun. Each shot has to be manually loaded by pulling back the lever on the back of the gun, but each blast has incredible power, moves at super speeds, and pierces mundane defenses to cause a huge explosion right inside of his enemy. Unlike other forms, Pegasus form has no 'finisher' - each of it's shots can serve as one if it scores a good hit. Due to the stress this form puts on the senses, it can only be used for up to two posts per transformation. If changed into Rising, he can only maintain it for one post (the one he changes into Pegasus). Rising Pegasus can fire up to three blasts per reload, each huge enough to blow away multiple buildings. If Pegasus or Rising Pegasus are used fully, Johnathan is forcefully reversed back into Growing form for two hours. Spirit Powers (Titan): Immense physical defense at the cost of nearly all speed. The armor of Titan form is tough enough to resist even a Cero from up close for at least a couple of blasts. Linked to the element of earth, Titan form can turn short, handle-like objects into the Titan Blade, a longsword capable of quite a lot of destruction... if he can manage to get close. Unlike Dragon, which has a lot of technical attacks, all Titan form can really do is unload charged up energy through his blade to deal direct damage. Rising Titan form has the ability to create a second Titan Sword and extend both in length a bit, turn part of the armor golden, and deal increased damage while highly reducing damage taken once more. Rising Titan can be maintained for up to four posts. "I will become the one they all fear." Vollständig Powers: The agility and speed of Rising Dragon. The skill and talent of Amazing Mighty. The senses of Rising Pegasus. The armor and strength of Rising Titan. The healing and adapting power of Growing. 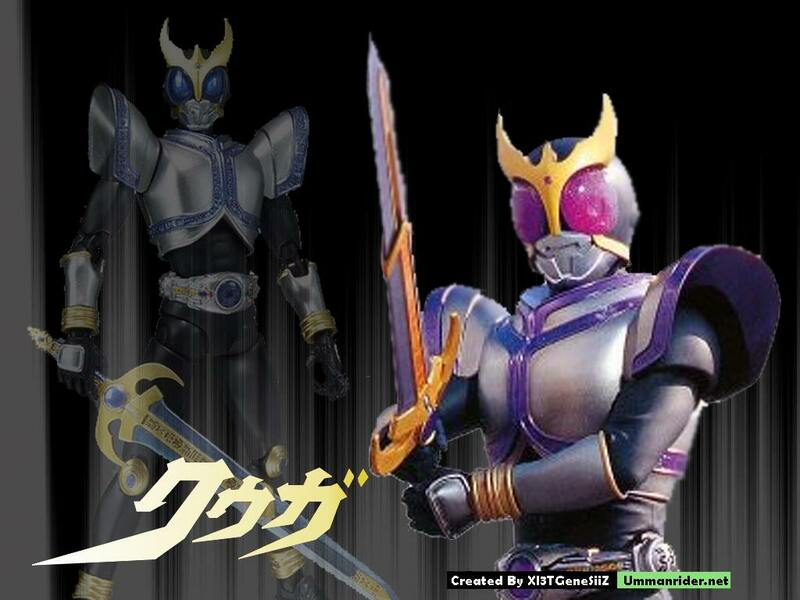 Combined into one form of near-limitless power, the Harbinger of the Black Sun is the 'Ultimate Kuuga' - the perfect Quincy warrior. With the skill of nuclear reforging, John can utilize all the weapons of his previous forms at once - as long as he obtains a suitable object, he can forge 'Ultimate Weapons', black in color and over double in strength compared to the Rising weapons (exception being the Bowgun, which is exactly as powerful as Rising Pegasus' weapon). Furthermore, he becomes capable of using the Golden Power finishing moves freely without being knocked out of his form, granting him a vast array of destructive moves in addition to the highest physical and mental statistics of all forms. Black Sun Armor: The black armor is nearly indestructible, but also incredibly light and doesn't hamper movement at all. Since it encases all of his body, John can catch energy attacks in his hands to deflect them, redirect them, and crush them with physical strength alone. Searing Energy: In his Vollständig, John absorbs so much energy that his Reiatsu becomes dense enough to see with the naked eye, even without spiritual powers. Furthermore, the incredibly tight-packed energy is so concentrated that it only takes little effort to ignite it into black-red flames, which encircle John much like the flames of his Mighty forms. However, this 'fire' is not real fire - instead, it is concentrated Quincy power. John can enhance his physical attacks and energy attacks with it. The flames do not burn that which they hit - instead, they destroy all spiritual power they come into contact with, sapping away the strength of the target quickly. They can break most spiritual attacks into nothing but useless particles by being directed at them. Souls engulfed in them will eventually break down into particles and burn away, destroying them much like normal Quincy attacks. Black Dawn Sphere: John collects energy into a small sphere directly between his palms. The small sphere quickly grows in size and power, until it takes the shape of a violet sphere, with a glowing core that connects through 'bolts' with the outside. With his extensive ability to control energy, John collects enough energy to create a miniature fusion reaction of Quincy power. Unleashing the power by 'throwing' the ball at the enemy forward, a MASSIVE cloud of violet, destructive Quincy power is shot out, dealing high amounts of direct damage. It can be compared to a Gran Rey Cero or slightly above in power, being possibly strong enough to dematerialize objects in Soul Society or Hueco Mundo. The Ultimate Darkness: John releases a pulse of black spirit energy from himself, radiating outward as an aura. It causes those without spirit powers to flee from him in a panic, while it can possibly unnerve those that can withstand minor illusion powers. This desire to flee builds on the basic desire of humans to survive, draws on instincts, and forces them to see John as the fear of darkness itself. Bleeding Criticals: Whenever John lands a clean hit on his opponent, his opponent WILL bleed. This bypasses normal armor, always causing bleeding on the opponent. However, it does NOT guarantee any damage besides causing bleeding - so a perfect armor will not prevent blood loss from his attacks, but it will block the impact and other damage it could've dealt. "Don't you dare say that we are the same!" Comments/Notes: An unusual Quincy, I'll admit. But it'll do. It's certainly above the norm. Remember to change to specify Ginto in your skill sheet.